If you've ever seen pack of wild dogs pursuing prey, you'll know why these mottled canids are among Africa's most successful predators. 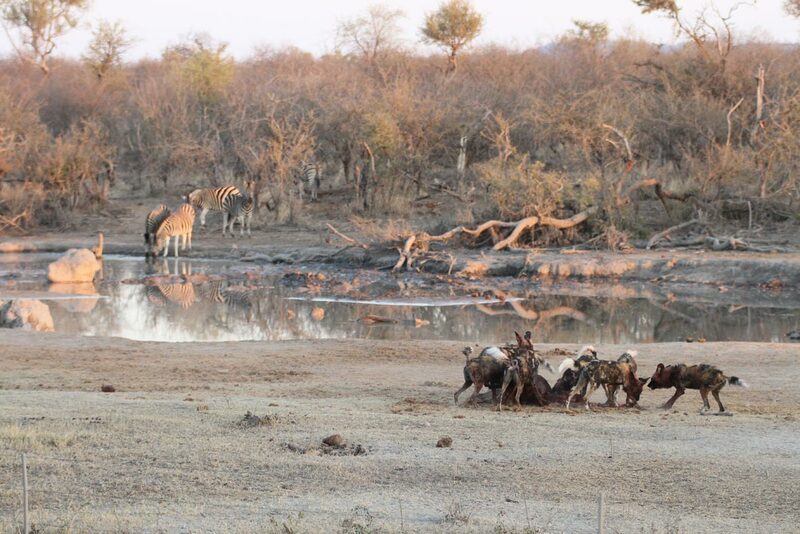 And those hunting kills were on full display recently when a pack set its sights on a young wildebeest in South Africa's Madikwe Game Reserve. Rodney Steyn, owner of a nearby guest lodge, had been observing the scouting pack from a watch tower when he noticed that the dogs had managed to separate a young wildebeest from its mother. "The young animal's instinct was to head for the waterhole and hopefully safety. It took a flying leap to the deepest point and the dogs immediately encircled the waterhole," he recalls. 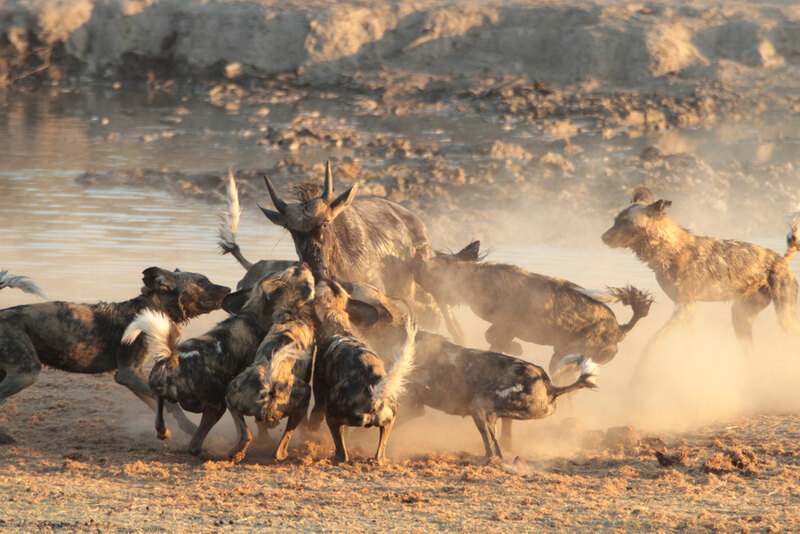 Steyn's elevated position meant he could observe the entire hunt as it unfolded below, giving him a rare bird's-eye view of the pack dynamics. 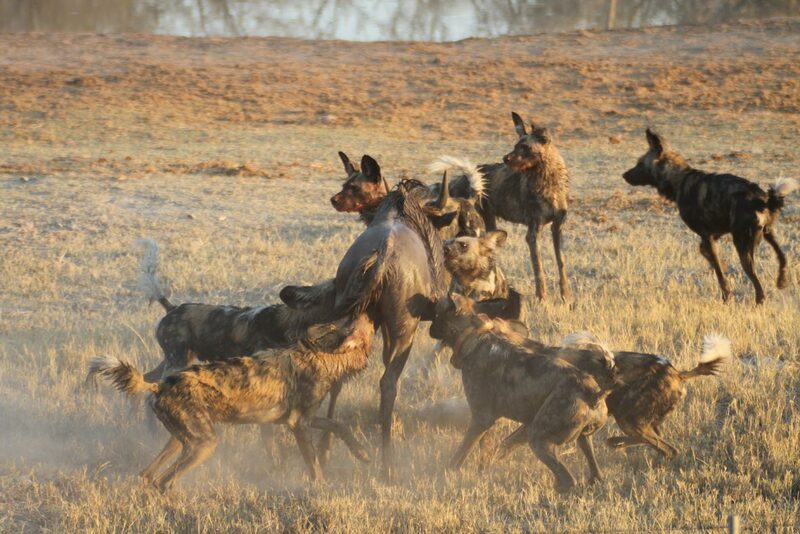 Wild dog hunts have an impressive success rate, and much of that comes down to the coordinated workings of the pack. Thanks to a complex vocal repertoire and tight social bonds, the carnivores can reach a level of hunting cooperation that much larger predators like lions can't match. Within the pack, each member is built for the endurance hunt – from keen senses and a lean, muscular build to powerful jaws and teeth specialised for shearing and crushing bone. 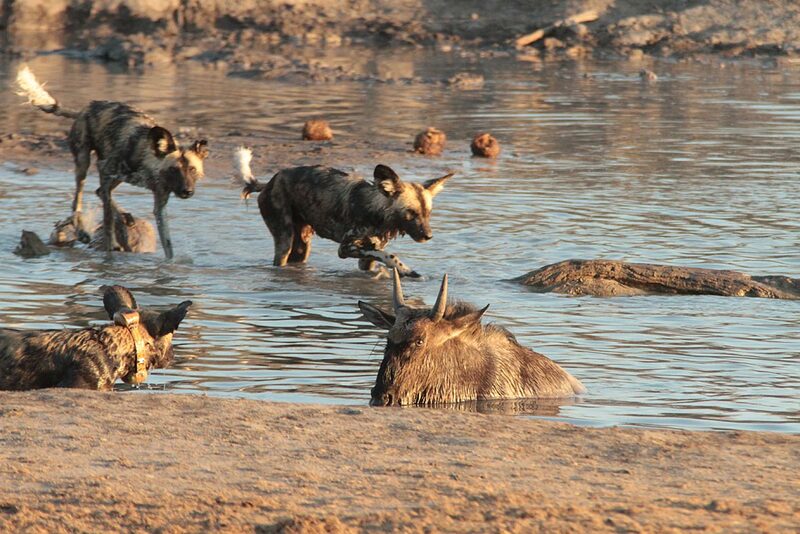 Trapped by water and the encircling pack, the young wildebeest stood no chance of escape. "A few of the dogs ventured into the water and the baby spun around repeatedly trying to face his attackers. At a point they started swimming to him from all sides, eventually pulling him out to the inevitable end," says Steyn. 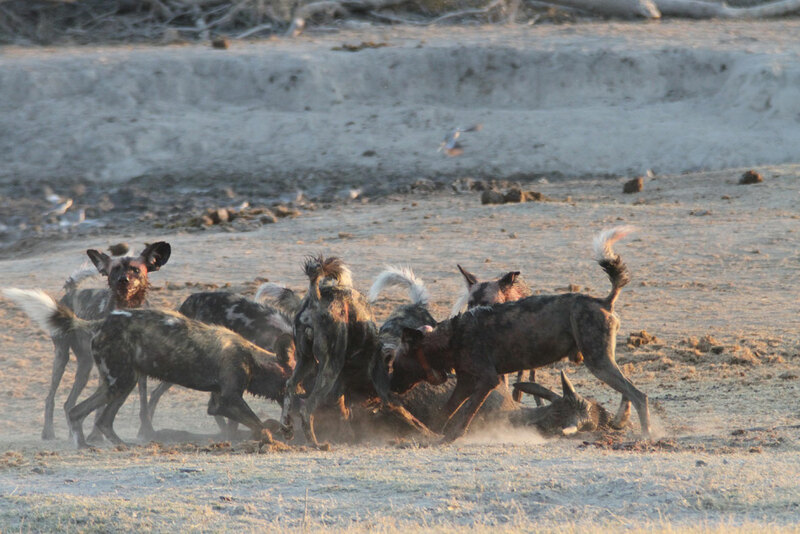 Wild dog hunts are infamous for their ferocity – and often incredibly difficult to watch – but this successful kill is an encouraging sign of the health of Madikwe's resident packs. After a shaky introduction to the park back in 1994, plagued by lion attacks and outbreaks of rabies, the founding pack of six pioneers slowly grew in number. Today, three hunting packs roam the area. Once widespread across the continent, the species has seen an alarming decline, with only around 5,000 of the critically endangered carnivores now left in the wild, with just 450 surviving in South Africa. That makes Madiwke's healthy population crucially important. "What made this event notable was being able to watch the entire episode unfold and the sheer determination of the wild dogs," says Steyn. "It was immensely emotional and tense because you feel helpless for the victim but justify the meal for the predator."